A number of executives Sony Corp. officially cast his apology for the broken-down PlayStation Access Networks (PSN) which causes the leakage of personal data approximately 77 million accounts in the online service. "We really apologize for the inconvenience that we caused," said Kazuo Hirai, head of the PlayStation video game unit, as quoted by the Straits Times on Monday (05/02/2011). 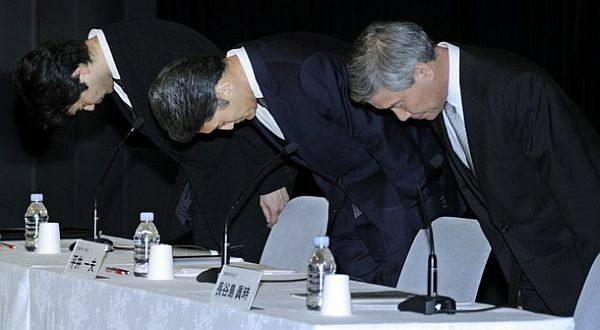 Hirai, along with two other executives, hunched over a few seconds in front of the media crew at Sony headquarters as the tradition of the Japanese people when asking for forgiveness. According to Hirai, Sony's part will return to service this weekend. Even so Hirai realize that Sony has not done the best in terms of security, and promised the company would improve its network in order to prevent the same thing happened again. Further, Hirai explained that they had contacted the United States federal officers (FBI) as well as several other law enforcement agencies to begin investigation of cyber attacks against Sony's data center in San Diego, two weeks ago. For the attack, Sony claims that the PSN service users' personal data as well as streaming music Qriocity such as username, date of birth, home address, email address until a password is leaking into the hands of hackers.